San Jose Limo mission to deliver seamless, reliable consistent ground transportation solutions for travel arrangers and their business travelers wherever they travel: Worldwide. San Jose Limo provides reliable and affordable limousine and airport ground transportation services to & from San Jose Airport (SJC), San Francisco Airport (SFO), and Oakland Airport (OAK). San Jose Limo is committed to excellence in our services and prices and we are proud to boost our large database of satisfied customers in the Bay Area of San Francisco, CA (Silicon Valley). San Jose Limo is your perfect choice for Limousine and Airport Limo Rental Service in San Jose Airport - SJC, San Francisco Airport - SFO, and Oakland Airport - OAK and all of Bay Area. San Jose Limo is reliable and extensive in its services. We dedicate our fleet services toward fulfilling your expectations to the hilt. With an elite collection of luxury-studded fleets, we are simply incomparably in the entire Bay Area. We understand the value of your time and the importance of your reputation in your social circuit. With our efficient fleet services, we enable you to reach your place on time and astonish the onlookers with your class and elegance. Indeed, a chauffeur opening the door of a fleet for you to come out leaves behind an unmatchable impression of your persona. Hence, be it airport transportation, wedding occasion, wine tour, a business tour, any sporting event, or even that raunchy bachelor/bachelorette party; allow us to drive you to your destination. Just choose the fleet that you think is the best to comfort you in your journey, and we will be there right at your place with the luxury fleet. As for those beauties on wheels, you can choose from among Stretch Limos, Party Bus Limousines, and more. In addition, you could also reserve any of our Executive Black Cars, Premium cars, SUVs, Vans, Buses and Mini Coaches online. The moment you book our fairies, we will come in action and will send the chosen fleet right at the destination you want it to be. We will work hard at earning and keeping your business, and we are confident that once you've tried San Jose Limo Service, we will become your limousine service of choice in San Jose and throughout the Bay Area. We will be your key to unlocking the beauty of San Jose,San Francisco , Oakland and all Bay Area. With new transportation services in San Jose, including Airport Shuttle Services, Car Services, and more, we offer what you need. And now introducing the same quality Limousine Transportation throughout the whole Bay area. We are fully licensed and insured. Call us now for your San Jose Limo Rental. Simply put, we offer the highest quality limousine services in Bay Area at reasonable rates, without ever sacrificing your comfort or safety. Our service area extends across San Jose, San Francisco, Oakland and many other cities in the Bay area. San Jose Limo is based in San Jose, California. Our Sedans, Limousines, Vans and Buses are clean, comfortable and luxurious. Our drivers are professional, courteous, knowledgeable and trained to make every trip a special occasion. No matter what the occasion: graduation, prom, wedding, a night out on the town, a trip to the wine county (Napa Valley) ... we want our customers to arrive in the style that they deserve. By choosing San Jose Limo, you can sit back, relax, and leave the driving to us. San Jose Limo employees and staff will cooperate and effectively communicate with each other in order to enhance and maintain the highest level of professionalism, courtesy, and integrity needed to sustain a successful working relationship with each of our customers. Each and every customer will be treated with the highest respect, regardless of the length of service. We promise to provide clean, safe, comfortable and luxurious service to our customers. FYI: San Jose Limos is not just for San Jose Or San Francisco, we have a much larger territory than meets the eye. 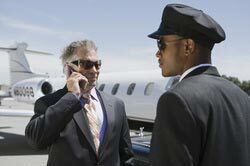 San Jose Limo provides car service and airport transportation to and from following cities and beyond. ​Alameda, Berkeley, Campbell, Capitola, Carmel-by-the-Sea, Concord, Cupertino, Emeryville, Foster City, Fremont, Gilroy, Half Moon Bay, Hayward, Hollister, Livermore, Los Altos, Los Altos Hills, Los Gatos, Menlo Park, Mill Valley, Milpitas, Monte Sereno, Monterey, Morgan Hill, Mountain, Napa, Newark, Oakland, Palo Alto, Pebble Beach, Petaluma, Pleasanton, Portola Valley, Redwood City, Redwood Shores, Sacramento, Salinas, San Carlos, San Francisco, San Mateo, San Rafael, San Ramon, Santa Clara, Santa Cruz, Santa Rosa, Saratoga, Scotts Valley, Sonoma, Sunnyvale, Union City, Walnut Creek, and Woodside.